New York City area dry cleaner celebrates Earth Day every day. 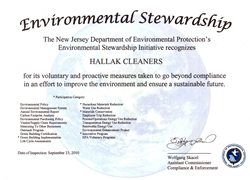 Environmental Award presented to Hallak Cleaners' plant. Hallak Cleaners is very excited to announce their annual Earth Day tote bag giveaway was another success. Once again, both of their stores located in Manhattan and Bergen County took part in passing out branded reusable tote bags. The bright green totes are to symbolize the importance of everyone doing their part. With slight changes in one's day to day routines, people can make a difference. From April 19th through April 21st this year, customers were greeted with a bag to take home. Hallak's Manhattan storefront located at 1232 Second Avenue also had an outside greeter handing out the freebie to passerby's. 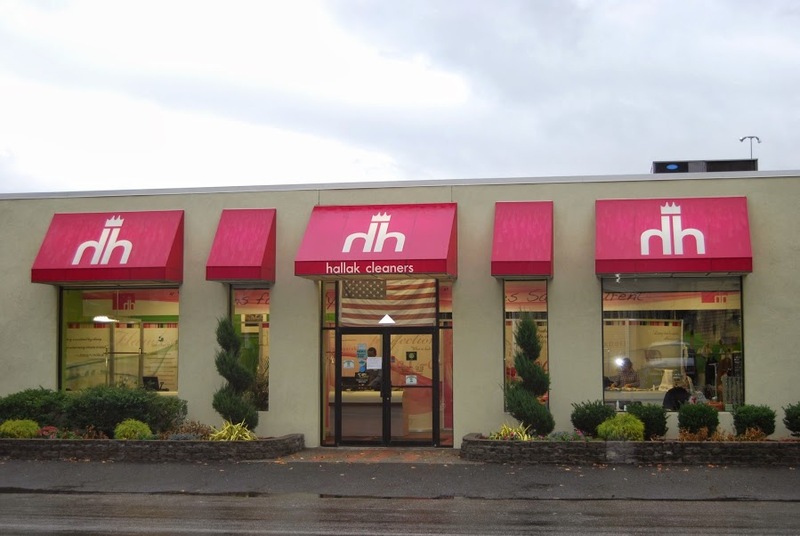 Hallak Cleaners' Bergen County Location.Exterior of Hallak Cleaners' New Jersey storefront that is also attached to the processing plant.